The story of one of Britain's most successful companies, told by the people at its heart. From one man’s Hackney market stall to a company serving fifty million customers in thirteen countries every week, this is the extraordinary story of one of Britain’s most remarkable companies. Told by those who themselves feature in it – Tesco’s own employees – it relates a fascinating social history as well as an epic business venture. Drawn from hundreds of hours of interviews with Tesco staff, collected by National Life Stories at the British Library, these personal accounts from across the decades are frank, insightful, sometimes funny and, above all, very human. How, then, did Tesco grow from Jack Cohen’s barrow in Hackney to the hypermarkets in Hungary and Thailand and a home-delivery service to customers from Cheshire to the Czech Republic? Why and how did Tesco survive and (mostly) thrive where other British companies stalled? And what impact has Tesco’s success had on its employees and consumers? 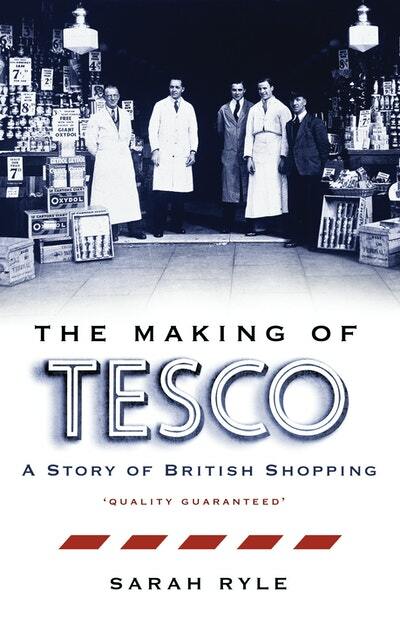 Here is Tesco’s authentic story, carefully researched and engagingly written by Sarah Ryle, told for the first time by the people at the very heart of the business. Love Making of Tesco, The: A Story of British Shopping? Subscribe to Read More to find out about similar books.